At 1200 midday on 21st October 1805, the opening salvo was fired in the Battle of Trafalgar as Vice-Admiral Collingwood’s Royal Sovereign came within range of the French ship Fougeaux. 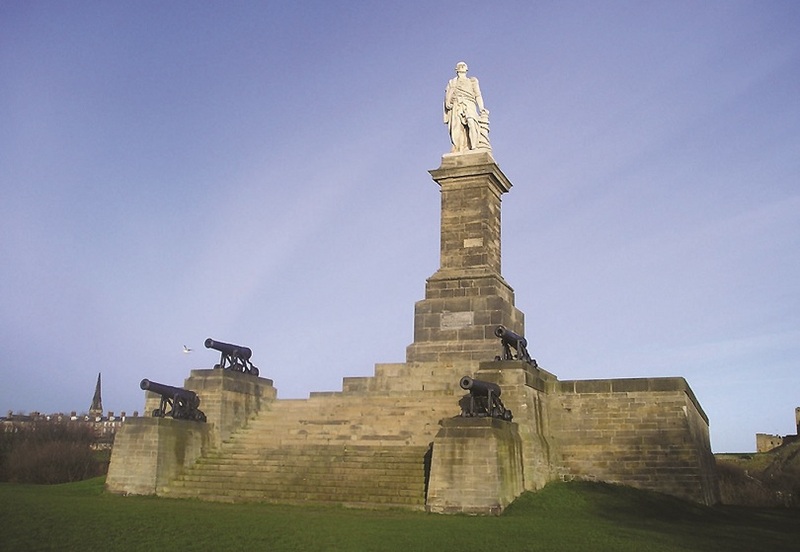 At 1200 midday on Trafalgar Day 2010, some 400 hardy souls who had braved the biting wind coming off the North Sea out on Tynemouth’s headland, “raised a glass” to the Admiral’s memory beneath his monument. The gathering formed the last public event of the Collingwood 2010 Festival. Those attending had been encouraged to come, whatever the weather and to bring a tipple of choice – be it a bottle of water, a flask of tea or a hip flask. Festival Partners, Wylham Brewery and Northumbria Spirit Company had also been good enough to provide a supply of the Official Collingwood 2010 Festival Ale, Official Collingwood 2010 Festival “Royal Sovereign” rum and a goodly measure of grog, made to an authentic 1805 naval recipe, so nobody was without a drink of one sort or another! Following a short speech by Elected Mayor of North Tyneside, Linda Arkley and an oration by the Chairman of the Collingwood 2010 Festival Committee, Capt. 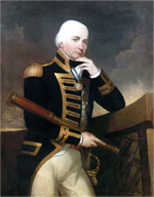 Stephen Healy, a call was made on a bosun’s pipe by Capt. Herb Carol of the Marine Support & Training Service. Everyone turned to face the monument and Capt. Healy proposed the toast which, to say was answered with enthusiasm, would be an understatement. Wardens from North Tyneside had also been collecting acorns for this event and they were distributed on the day to those attending – reflecting Collingwood’s own habit of encouraging the growth of oak trees. A reception was held following the celebration in the Tynemouth Volunteer Life Brigade Watch House. With luck, this gathering will long continue as an annual event.